This is a historical page. Pedro T. Ramirez was elected the new Editor-in-Chief of the Journal and is to assume the position on January 1, 2018. 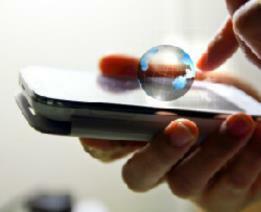 -> Click here to read the press release. 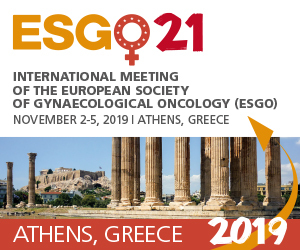 Dr. Uziel Beller soon will complete his term as Editor-in-Chief of the International Journal of Gynecological Cancer, a publication of the European Society of Gynaecological Oncology (ESGO) and the International Gynecologic Cancer Society (IGCS). Dr. Beller has successfully guided the Journal since 2009 with great dedication and expertise, instituting significant enhancements in the Journal. 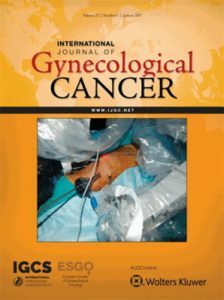 The International Journal of Gynecological Cancer, founded in 1940, is the official scientific journal of ESGO and IGCS. The Journal publishes articles relevant to detection, prevention, diagnosis, and treatment of gynecologic malignancies. The Journal audience is gynecologists, medical oncologists, radiation oncologists, radiologists, pathologists, and research scientists with a special interest in gynecologic oncology. 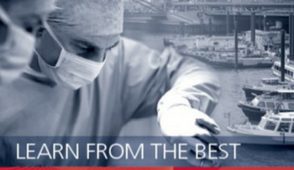 ESGO and IGCS are committed to publishing and disseminating the highest quality work to inform daily clinical practice and transform the practice of medicine in our specialty. A journal relaunch is planned for January 2019 to differentiate the Journal from competitors and increase its value to members and the broader gynecologic oncology community. To serve as the Journal’s next Editor-in-Chief, IGCS and ESGO seek an individual who will raise the quality of science and increase the educational value of the Journal. The applicant must be a respected and accomplished gynecologic oncologist who is well organized, energetic, innovative, and dedicated to building the Journal as an important and valuable resource for the medical and scientific community. Successful applicants will have experience as an editor, associate editor, or productive editorial board member for a peer-reviewed journal. Responsibility for the content of the International Journal of Gynecological Cancer will rest entirely with the Editor-in-Chief and the Editorial Board. The Editor-in-Chief will also work collaboratively to ensure that the Journal meets the goals of ESGO and IGCS. The applicant must be comfortable working with electronic technology in order to expedite review and publication of submitted manuscripts. The Editor-in-Chief and Editorial Board will be supported by a professional Managing Editor at a location to be determined. The successful candidate will become Deputy Editor beginning September 1, 2017 and will work with Dr. Beller, ESGO, IGCS and the publisher on a transition through June 2018, at which time the Deputy Editor and his or her Managing Editor will begin receiving manuscript submissions. The Deputy Editor will assume the position of Editor-in-Chief officially on January 1, 2019. Read more about the specific responsibilities and qualifications of the Editor-in-Chief. 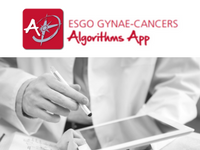 Read more about the International Journal of Gynecologic Oncology. The search will be facilitated by KWF Consulting. Questions for the Search Committee and applications should be submitted by email to lisa.marshall@kwfco.com. Applications must be received by Friday, March 31, 2017. The Search Committee will review applications and select individuals for telephone/skype interviews. From those interviews, a small number of finalists will be selected for in-person interviews. Following the interviews, the Search Committee will decide which of the finalists it will recommend to the Council of both organizations for review and ratification. All candidates will be notified of the Council’s decision no later than July 31, 2017.